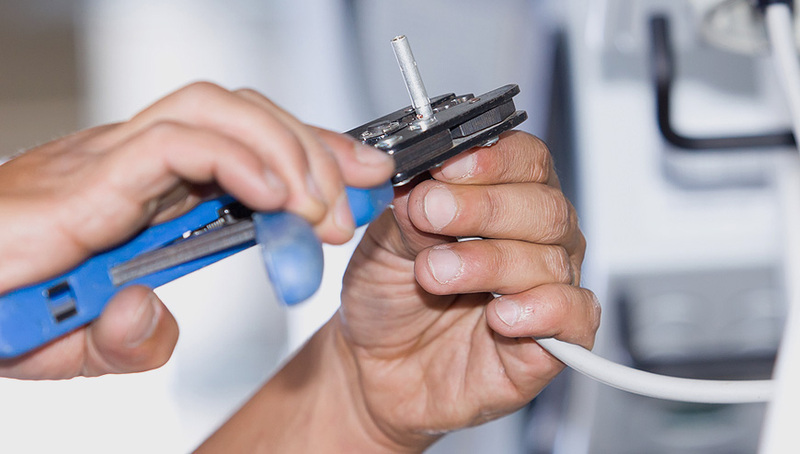 When it comes to electrical repairs, having top-notch service is a must. Our qualified technicians are here to help you with repairs, upgrades, and making sure that your home is safe. Here at Icon Electrical Services, we strive to provide our customers with fast, friendly, and reliable services that are guaranteed to give you 100% satisfaction. All of our employees are professionally licensed electricians that have a complex knowledge of home electrical issues. We’ll get your home up and running as quickly as possible if you’re located within the Mableton, GA, area. When it comes to your home, it’s always best to upgrade every 20 years. Due to the rapid increase in technology, electrical systems need to be updated in order to support all of your home appliances. We highly recommend getting upgrades when you install home theaters or offices or purchase the latest in kitchen gadgets. You’ll find that if you don’t upgrade, you won’t be able to use multiple appliances at the same time. Trying to force your current electrical system to support all of your appliances could cause the system to malfunction, overload, and possibly cause permanent damage. When it comes to repairs, we also have licensed electricians who are ready to help you. Our experts can quickly assess the damages and come up with a proper solution to your electrical troubles. At times it may be tempting to try and repair it on your own. However, this could lead to complications. Don’t put yourself in a situation where you may damage your system and end up paying more money for a full replacement. Our repairs are quick and efficient, and they’ll get your home up and running again. Our electricians’ skill sets can address a wide range of different electrical needs. Here are just a few of the most common home electricity problems. While most homes come equipped with working breakers and fuses, you may assume that there’s an issue with your electrical circuit. This can lead you to believe investing in new and costly equipment may solve your issues. An electrician can give you an accurate assessment of what your problem is. Sometimes the fix is as simple as installing new fuses and breakers. This is especially common in older homes, as they often don’t have the capacity to support today’s increased electrical use. By purchasing new breakers and fuses, you’ll be able to have greater capacity to support your home. A GFCI is a type of electrical device which is installed to help prevent the risk of an electric shock. While the risk of getting shocked is exponentially low, the potential for injury still exists. It’s been found that a few hundred individuals are either injured or killed due to an electrical malfunction every year. Improper installations or old systems can cause homeowners trauma and electrical burns that could last a lifetime. Our company wants to ensure that no one faces the same fate. We’ll be more than happy to ensure that your home is safe. A GFCI is a very small device, but it plays a significant role when it comes to preventing accidents. With a GFCI installed, the risk of electrical fires and sparks drops significantly. It’s also useful when it comes to detecting ground faults and other errors in electric pathways. With constant monitoring, you’ll be able to identify any small changes in electrical currents. If there happens to be a change, the GFCI will cut the electricity off to that particular circuit. Another service we offer is the repair and installation of generators. You don’t want to be the victim of generators that are continually shorting out. If this is a common problem in your home, our experts can help. Make an appointment with us, and we can find you a new generator that won’t end up dying on you. We also offer installation services. No job is too small for our team, as we’re here to help you with most of your electrical installations. If you’re in need of an installation, we can provide you with services for putting in ceiling fans, digital thermostats, and baseboard heating systems. As we’ve stated before, the average lifespan of most electrical panels is 20 years and up to 30 years max. If you’re living in an old home, we’d be more than happy to help increase your electrical capacity. Sometimes it’s hard to know when you’re in need of licensed electricians. However, you’ll find that qualified electricians can help solve the problems faster and more efficiently while reducing your overall costs of investing in unnecessary services and equipment. To make the choice easier for you, here are a few situations where you’d find it useful for contacting our services. At Icon Electrical Services, we always hire professional and qualified electricians. All of our experts are qualified in different departments, so we have well-rounded knowledge of electrical issues. With our expertise, we’ll be able to get to the bottom of the issue and get your home working again. As we try and please our customers 100% of the time, we’ll also help find you electrical contractors that can get the job done correctly. Our response times are quick, and we’ll listen to your concerns and give you an estimate on how much the repair or installation will cost. Please call us to schedule an appointment at 678-298-9363 so we can help improve your home and give you peace of mind. Circuit breakers that keep tripping, a flickering light on the back porch, or an exhaust fan that just won’t work properly—all of these are common problems homeowners face that have something to do with their electrical systems. But figuring out where the problems is stemming from can take a lot of work. Our Mableton electrical repair technicians will find out exactly what’s causing the problems, and what other problem may be happening—or beginning to happen—for the same reasons. Then we’ll nip them in the bud.